PSYCHOLIES are band out of Bari, Italy. They formed in 2014, coming from previous musical experiences , with a huge number of live sets to their credit. What can you tell us about the band and these musical experience since your inauguration? What can you tell our readers about your current live set? Our musical experiences have led us to meet and understand that we could have a particular combination between us. Our live set is characterized by the sound born from this meeting. A single stream and powerful, incisive and deeply dark is what ‘that invests our audience. The Sound of PSYCHOLIES has been described as Industrial , Softcore , Dark and Glam merged into a unique unmistakable sound and style. Is that a fair assessment? How do you feel about Genres and the labeling of music? We have a strong relationship with every part of our sound, which is a Industrial elaborated on the details of powerful genres such as curvy glam most typical of the dark. Our desire is to express ourselves by offering a load result of all that has formed, developed in a common language, there again, that communicates that the metal will never die. 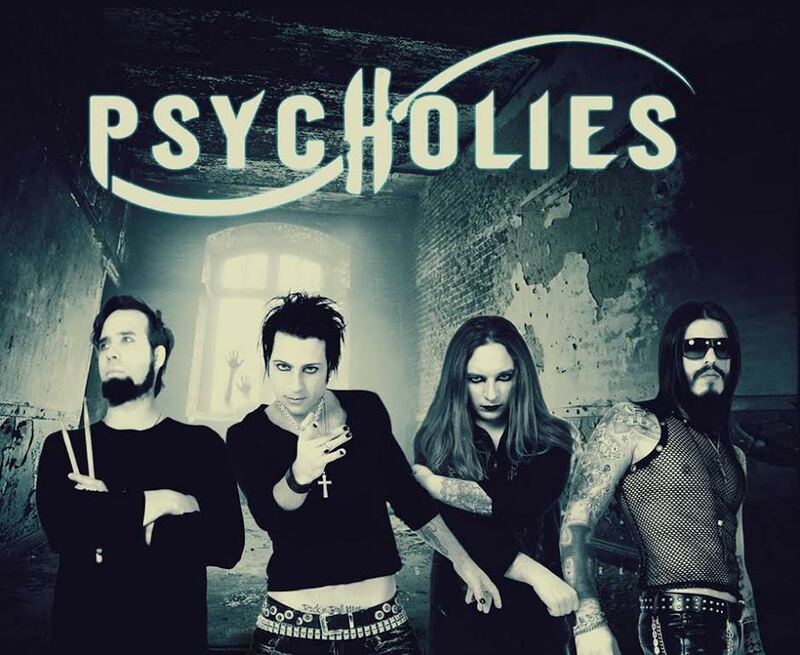 PSYCHOLIES have been busy this past 2 years working on a new album and as playing in many festivals such as Total Metal Festival and Thrash Fest. How has this past couple of years been to you in terms of experience and expose as a band? You’ve played in your homeland of Italy, Finland, Germany and Slovakia respectively. What does 2017 hold for you? Where are you heading next in terms of touring? Surely we continue to play in Europe, in February 2017 we will be in England, and are working to arrange a tour in the US. When can we expect the new album? Who is responsible for the creative direction of the band? Is it a collective effort or is it individualized? 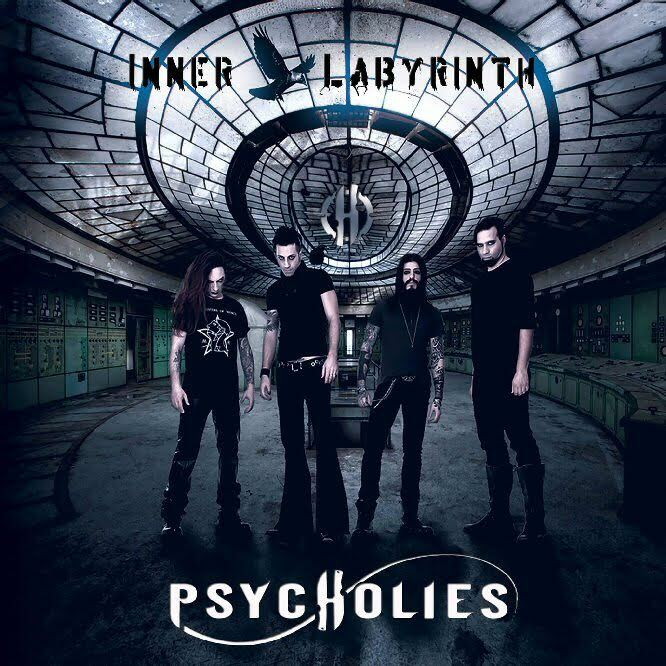 The Inner Labyrinth publication date, our first album is 25 November 2016. All of the band’s work is designed, organized and directed by Vigos and Frank. In closing I would like to thank you for joining us here today with Metalheads Forever Magazine, It was great to you with us. Any final words to your fans all over the world and to our readers? Congratulations on joining the Alpha Omega Family and good luck with your future endeavors. Be prepared to get lost in the maze of Inner Labyrith. We will take you into yourself … in the abyss … and then beyond. Thank Metalheads Forever Magazine. See you soon on stage!